When we think about affirmative action in employment, the general tendency is to think about the federal affirmative action laws and regulations that are enforced by the U.S. Department of Labor’s Office of Federal Contract Compliance Programs (OFCCP). However, there are many state and local units of government that also have affirmative action requirements for certain organizations. At times, these requirements can be as burdensome as those of the federal government. State and local affirmative action requirements can become especially problematic when information is needed immediately in order to satisfy some type of bid requirement. We have had a number of panicked calls in the last few years in which one of our clients has asked us to assist with a request that a sales representative has presented which requires imminent submission of some type of affirmative action information. At times, this has been impossible because no one knew exactly what was being requested by the relevant unit of government. In a recent webinar, we provided some background on state and local affirmative action requirements and how to manage these requirements. I’m going to use this article to cover some of that same ground and to provide some actions to take. Why is It Important to Know About State and Local Affirmative Action Requirements? Readers of The OFCCP Digest understand the importance of complying with the federal affirmative action requirements. They recognize that the failure to comply with these requirements may result in the suspension of federal contracts and subcontracts. Perhaps more importantly, readers know that failure to comply with these requirements may result in a finding of employment discrimination resulting in a significant back pay settlement. A major discrimination settlement by OFCCP is generally accompanied by a press release in which OFCCP shares the details of its findings with the public. State and local units of government typically do not have the capacity to conduct the type of in-depth reviews of an organization’s compliance with affirmative action laws and regulations that OFCCP conducts. However, state and local units of government are more than willing to avoid entering into contracts or to suspend contracts with organizations that fail to abide by their affirmative action requirements. While it is unusual for OFCCP to advocate for the suspension of a federal contract, it is quite common for agencies enforcing state and local affirmative action requirements to seek a suspension of contracts for failure to deliver materials in a timely and appropriate manner. Not all state and local units of government have requirements regarding affirmative action in employment. However, a significant number of states, counties, cities, and other units of government have particular requirements. For example, organizations based in Wisconsin may face affirmative action requirements from the state of Wisconsin and from surrounding states, including Minnesota and Illinois, as well as from Milwaukee County, the City of Madison, and other Wisconsin-based units of government. Organizations based in California may face affirmative action requirements from a wide cross-section of governmental entities in that state. The list of governmental entities that may request affirmative action information is almost endless. One of the few things that is consistent between state and local units of government is that their affirmative action requirements pertain only to organizations that have contracts with the relevant unit of government. These requirements do not apply to all organizations located within a given governmental jurisdiction, nor do they apply to all entities that may be affected in some way by the relevant unit of government. Typically, a state’s affirmative action requirements apply only to the organizations that have contracts with the state, just as a city or county’s affirmative action requirements apply only to organizations that have contracts with the relevant city or county. Unlike the federal affirmative action laws, most state and local affirmative action laws do not pertain to subcontractors. Thus, an organization that provides no direct products or services to a unit of government will typically not be required to abide by that state or local government’s affirmative action requirements. 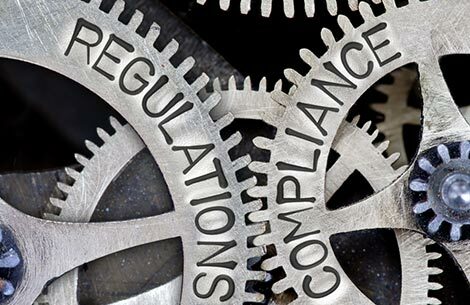 While OFCCP has made its laws, regulations, and administrative rules available at the agency’s website, it can be much more difficult to find the affirmative action requirements for any particular state or local unit of government. The easiest place to find these requirements should, in theory, be in whatever contract an organization receives from a state or local unit of government. However, the affirmative action-related language in some of these contracts can be difficult to find or understand. State governments often make their affirmative action laws and regulations available on the state’s website, though there is no consistent pattern as to where this information may be placed. State statutes are generally easy to find; administrative rules may be associated with whatever state agency is charged with implementing the state statute or in some other part of a state website. Along with their formal laws and regulations, states may have forms or instructions for contractors that provide additional information on the responsibilities of state contractors. These forms or instructions are typically found on the website of the agency administering the state’s affirmative action laws or can be gathered by contacting the relevant state agency that oversees affirmative action requirements. Cities, counties, and other local units of government have no uniform way in which they make information on their affirmative action requirements available. Sometimes this information can be found on the unit of government’s website, though it is often difficult to know what section of the website to search for this information. Sometimes this information can be found by contacting a specific person or agency for the relevant unit of government, though again it may be a challenge determining who to contact. There are two websites that make ordinances for some cities and counties available to the public. Municode (https://www.municode.com/) and American Legal Publishing (http://www.amlegal.com/) have ordinances from various jurisdictions that are available to use and search. Neither of these sites is a comprehensive source for all city and state ordinances, but they provide another option when affirmative action information is not otherwise readily accessible. There tends to be a certain amount of confusion regarding which set of affirmative action requirements an organization must meet. A simple rule is this: an organization must comply with the requirements of any unit of government with which it has a contract. The corollary to this rule is that an organization is generally NOT required to comply with the affirmative action requirements of a unit of government if it has no contracts with that unit of government. This rule is important when dealing with the federal government and with state and local units of government. A contract with a state or local unit of government does NOT bring an organization within the requirements of the federal affirmative action laws UNLESS the organization also has contracts or subcontracts with the federal government. OFCCP only has the right to conduct a compliance review of an organization that has federal contracts or subcontracts. OFCCP does not have jurisdiction if an organization holds no federal contracts or subcontracts regardless of how many state or local contracts it holds. There are some important substantive differences between the federal affirmative requirements and the affirmative action requirements of state and local governments. As noted above, state and local requirements typically do not apply to subcontractors. Also, state and local requirements may cover different protected classes than the federal affirmative action laws. While most state and local units of government have affirmative action requirements regarding minorities and females, only some state and local units of government have requirements regarding individuals with disabilities. Unlike the federal government, very few state and local units of government have requirements regarding veterans. State and local units of government may also cover additional or different classes than the federal government. For example, certain units of government may not include Hispanics or Asians as protected classes under their affirmative action laws if these two groups are well-represented in the local population. Conversely, there may be particular racial or ethnic groups not covered under the federal affirmative action laws that are covered by certain state or local units of government. Another important difference between the federal affirmative action laws and those of other units of government involves enforcement. While the federal government has an agency that reviews affirmative action plans and routinely finds discrimination in employment, state and local units of government rarely have the capacity to do in-depth analyses of information provided by their contractors. Instead, state and local units of government often do a cursory review of affirmative action information and then rely on their ability to suspend contracts to ensure that their requirements are being followed. There is a huge level of variation in the type of affirmative action-related information that must be submitted to state and local units of government. Some units of government may require nothing more than a policy statement and an EEO-1 form to satisfy their requirements. Other units of government may require extensive statistical information and information on various policies and practices. One of the few constants in regard to state and local affirmative action requirements is that these units of government frequently do not want copies of affirmative action plans that are produced for federal purposes. State and local governments may want less information; they may want more information; they may want different information. While they may occasionally accept federal affirmative action plans or notices of compliance from OFCCP reviews as a substitute for required information, state and local contractors should not assume that submitting federal affirmative action plans will suffice. State and local units of government that require annual submission of information may ask for something as simple as an updated policy, or they may ask for extensive statistical information on employees, applicants, hires, and other personnel-related matters. Most state and local units of government do not conduct compliance reviews in order to ensure that contractors are implementing the relevant affirmative action laws. However, there are certain units of government that do conduct some type of compliance review. For example, the State of Minnesota has been conducting compliance reviews with its contractors in which the state asks for extensive information on policies, outreach efforts, training, discrimination complaints, and other personnel practices that may be associated with the state’s affirmative action initiatives. There is no question that it is important to be prepared for an affirmative action compliance review by the federal government. However, it is becoming increasingly important to be prepared for requests of affirmative action information by state and local units of government. Here are some of the most important action steps that can be taken in that regard. Ensure there is effective communication between sales representatives, human resources representatives, and management about state and local government contracts - The most critical thing that an organization can do in regard to dealing with state and local affirmative action requirements is to ensure there is communication between all parties who may be required to provide this information. Sales representatives need to understand the importance of informing HR representatives about pending and current contracts; HR representatives need to ensure that management is aware of the significance of these affirmative action requirements; management needs to facilitate communication between all involved. Provide state and local units of government with what they request - State and local units of government are likely to have particular requirements that apply within their specific jurisdictions. Organizations should be prepared to provide state and local units of government with exactly what they require. Organizations should also be prepared to limit the information provided to the set of data and other information the relevant unit of government has an explicit right to request. For example, if a local unit of government’s ordinances ask for data on employees living or working within that jurisdiction, organizations should provide only information for this set of employees and not on employees living in other geographical areas. Understand the affirmative action information that a state or local unit of government is allowed to request - State and local units of government are bound by their relevant statutes, ordinances, and administrative codes. They cannot ask for information outside of the limits of what is found in these documents. Organizations should make an effort to understand what they are required to provide to the state and local units of government. When these units of government request information that appears to be beyond the requirements that have been properly established, organizations should consider challenging the relevant unit of government on what is being requested. With the increase in the scope of information being requested by state and local units of government, this is a good time for organizations to consider how they can effectively respond to these requests. 1. The law firm Seyfarth Shaw has published a document outlining some of the requirements that state and local governments have regarding inquiries about compensation. This document can be found at http://www.seyfarth.com/dir_docs/publications/PayEquity_50State.pdf.